James Anderson is England's most succesful bowler of all time. He plays first-class cricket for Lancashire and since bursting onto the scene in 2002/03 has represented England in over 50 Test matches and more than 100 One Day Internationals. James Anderson (or Jimmy, as everyone knows him) has established himself as one of the most exciting cricketers in the world. In his first book, he tells the story of his life in cricket. From promising beginnings at Burnley Cricket club where he discovered, seemingly overnight, that he could bowl faster than the rest, to his first-class debut with Lancashire and the England call up that followed, to playing under Darren Fletcher and the run of hat tricks that made him England's golden boy. Career-halting injury devastated Anderson but then came a recent glorious return to form making this a tale of exuberance, determination and sheer force of character. 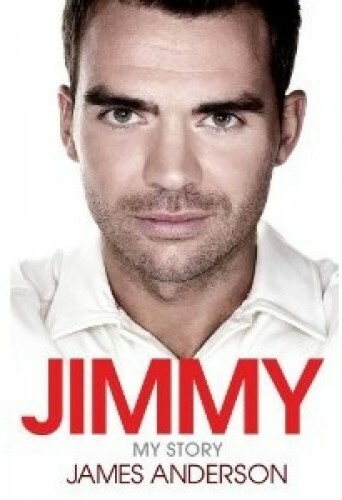 Jimmy Anderson has earned himself a place at the high table of English cricket and this book, much like the man himself, is sure to get people talking.